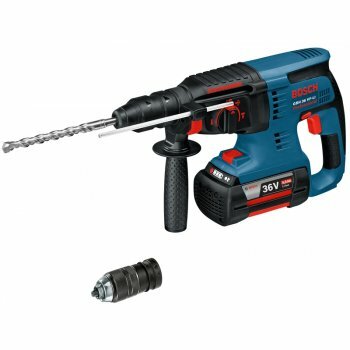 The Bosch GBH36VF-LI-4 SDS Rotary Hammer is as powerful as a corded drill and has a pneumatic hammer mechanism with chisel function, optimised for drilling holes of 8–16mm in concrete (max. 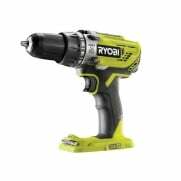 26mm). 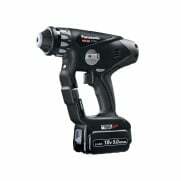 It is as fast as the best 2kg mains-powered hammer due to its high impact energy (2.8 joules). 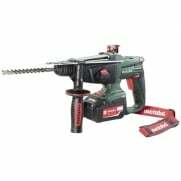 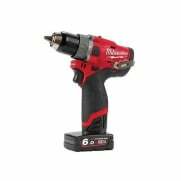 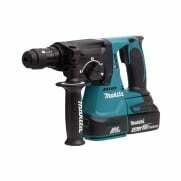 It has 3 functions: drilling, hammering and chiselling. 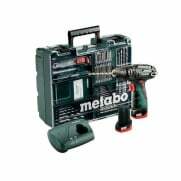 It is supplied with 3 x 36 Volt 4.0Ah Li-Ion Batteries, AL 3640 CV Quick Charger, Auxiliary Handle, 210mm Depth Stop, and an L-BOXX.